2018 WAS AN EVENTFUL YEAR FOR RICHARD BRIDGMAN OBE, SKILLS CHAMPION, FOUNDER AND FORMER CHAIRMAN OF THETFORD-BASED WARREN SERVICES. He began 2018 by passing on the chairmanship of his engineering company to son Will, and promoting Clive Poyner to managing director. Then in June he was awarded an OBE for services to training young people. 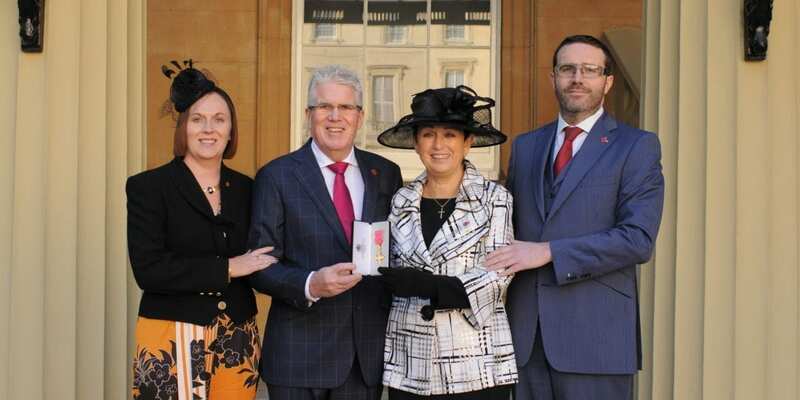 An OBE may have shocked the humble if outspoken Bridgman but it came as little surprise to the many people who have worked with, and for, Richard over a 50-year career in manufacturing characterised by his tireless work securing opportunities for young people. His company has trained many apprentices over the years and he has energetically sought placements, work experience, jobs and training for hundreds more in East Anglia, willingly assisted by friends at West Suffolk College, Norfolk and Suffolk County Councils the Department for Work and Pensions, EEF, the New Anglia LEP, SEMTA and many other organisations locally and nationally. 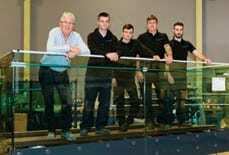 An Apprenticeship Ambassador, Enterprise Advisor and past Chair of SEMTA for the East of England, and voted as a Top 100 by The Manufacturer magazine in 2014, Richard was made an Honorary Fellow by the University of Suffolk in 2015. He is also an EEF Regional Board member and a proud member of the 5% club, an employers group focused on helping to recruit apprentices, sponsored students and graduates into the workforce. He has worked with various government departments and agencies, including BEIS, ESFA, the DfE and more. Never resting, Richard is currently working with West Suffolk College headed by Principal Nikos Savvas and his team on a bid for the Eastern Institute of Technology, where Warren Services is one of the anchor partners. Loud, enthusiastic and straight to the point, Bridgman has made a lot of friends and one or two enemies with his no-nonsense style of leadership, which has ultimately produced a thriving substantial family engineering business, making complex electro-mechanical machines and assemblies for worldwide clients, and a very long list of people who he has helped upskill and find work, many of whom were long term unemployed. And with more projects and work this year, don’t expect this septuagenarian dynamo to stop just yet.